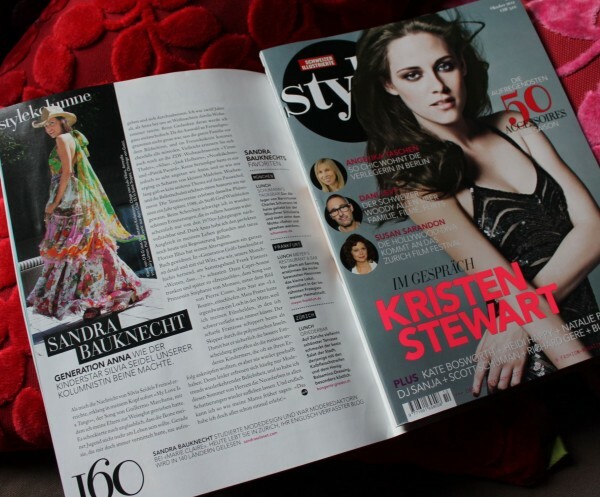 Something for my Swiss and German based readers: The October issue of SI Style magazine featuring my monthly fashion column is available now. This time, I took a trip down memory lane to the era of the ’80s when big hair, neon colors and jelly bands were hot and the German television series “Anna” inspired a whole generation to storm the ballet schools. For further information on the look, please click here.